The latest series of online attacks comes days after the same group hacked Twitter handles of Rahul Gandhi, Indian National Congress and industrialist Vijay Mallya. 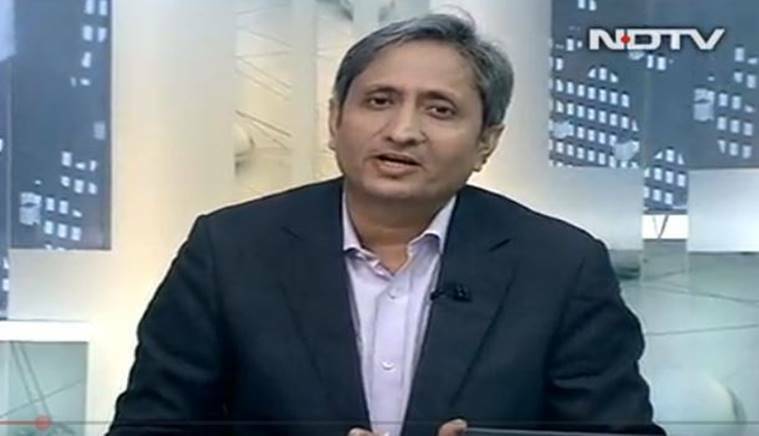 Ravish Kumar during prime time on NDTV. The tweets, however, were removed from the official handle immediately. This comes days after the same group hacked Twitter handles of Rahul Gandhi, Indian National Congress and industrialist Vijay Mallya. The hackers had also tweeted out Dutt’s email address and its password, while glorifying the group saying “Long live the legion”. The tweets, which contained offensive language, were deleted immediately. However, a tweet saying “Remember kids, e-mail us at legion_group@sigaint.org if you have useful information or sp00lz” is still pinned on top. Earlier this week, the group had shared liquor baron Mallya’s address and phone number in London in addition to some documents on his investment and other details pertaining to his residency in London. According to the hackers, they have launched a fight against ‘corrupt’ people. They had also tweeted that they’ll release a couple of documents over the next few days and will also release Congress emails on New Year.